Includes an eclectic mix of embellishments - flowers, labels in multiple colors, word strips, hearts, polaroids, bits, stitches, and more! Don't be afraid to play! This set of layer styles matches perfectly with the new MPM | Snapshots July 2017! You get three beautiful effects, each in the collections colors, that make creating titles and more elements a cinch! It's a month that's full of memories - truly the SNAPSHOTS of summer. The July kit is a perfect mix of bold and traditional that will help you to scrapbook long after the month has passed. Memory Pockets Monthly: Snapshots contains: 25 - 3 x 4 journal cards, 4 - 4 x 4 journal cards, 6 - 4 x 6 journal cards, 130 elements, 1 alpha, 10 solid papers and 1 template. The journal cards are available in both vertical and horizontal orientations, as well as additional colorways. 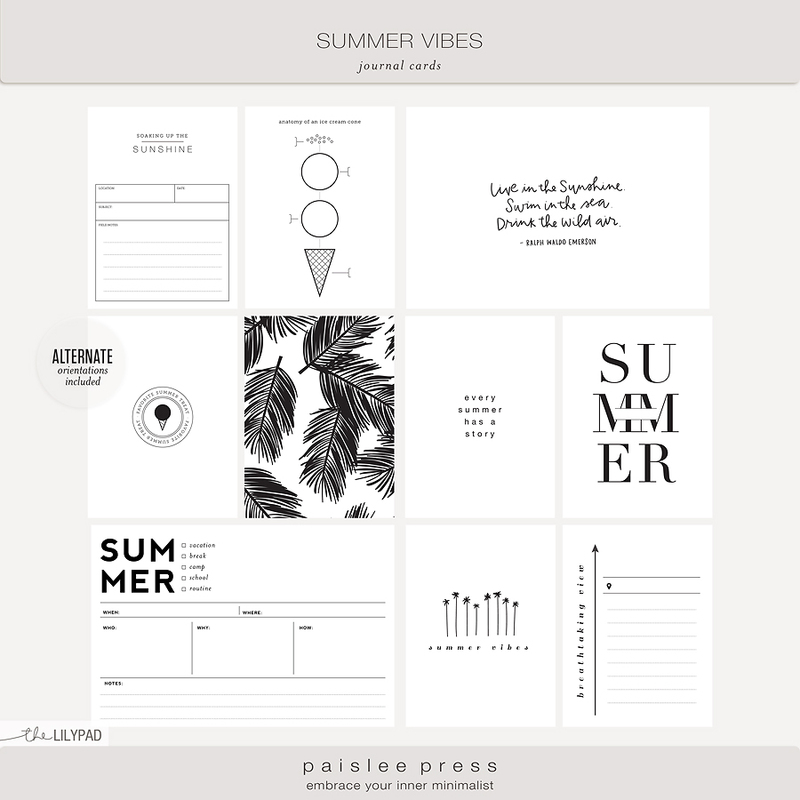 This collection is ideal for digital pocket scrapbooking and hybrid albums, as printable PDFs of all journal cards and kit pieces are provided. 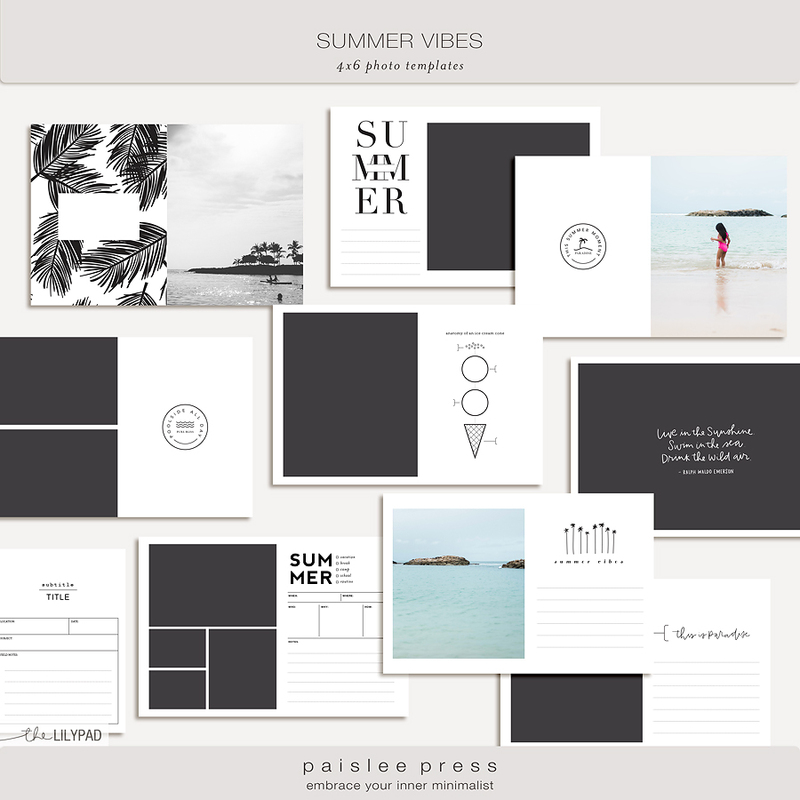 Featuring minimalist grids, summer icons, white space and thoughtful font pairings, these templates are designed to let your photos shine. Each template includes easy to use clipping masks. Set of summer themed elements. Great for both digital scrapbooking and hybrid projects. Cards are provided as individual JPG files and and as easy to print PDF files - No photoshop required! Set of summer themed elements. Great for both digital scrapbooking and hybrid projects. 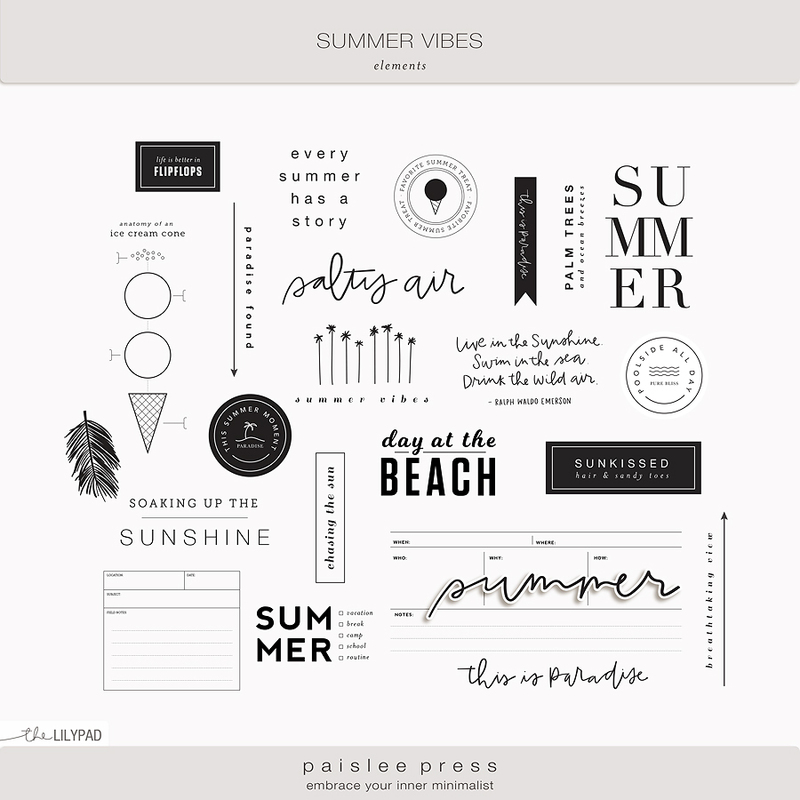 Set of photo templates featuring "summer" themed wordart - great for project life and digital layouts. Wordart pieces are also included as individual PNG files. The I love the clean look of type paired with photography! Use the templates as is for a minimalist look. Experiment with the opacity to create a custom and subtle look. Prefer to go bolder? You can easily recolor each layer to add more pop or color to your photo before printing.